In 1987, a local newspaper in Mysore had made a small article about me and Swami Vivekananda Youth Movement. A few days after this, as I was walking within the Medical College campus, someone told me that there was somebody looking for me at the Canteen. He looked at me questioningly and told me that this person was in a Government vehicle with a red light on top! For a few minutes, I could not figure out who it could be. And more importantly, why would someone look for me? Curious, apprehensive and flattered, I went to the canteen, where Mr.Raghavendra, the owner’s brother pointed me out to a short-statured young man. He approached me and told me that he was V.P.Baligar, the Deputy Commissioner of Mysore District. He told me that he had read the article about me a few days ago and was intrigued that there were still young people wanting to undertake national service. We started talking and he invited me to his office and told me that he was keen on supporting whatever rural work we did. He was not very impressed with the work SVYM’s was doing in Mysore city – arranging for blood donations, providing free medications to poor patients, etc. He urged me to consider working in tribal areas, specifically in Heggadadevanakote Taluk. With this parting remark, he left telling me that we needed to meet again at the earliest. I was indeed impressed. To think that a high ranking Government official in the District would actually come down to a medical college and sit with a young intern and talk to him! I was awestruck at his simplicity, his genuine concern for the tribal people and his earnestness in wanting to support our work. 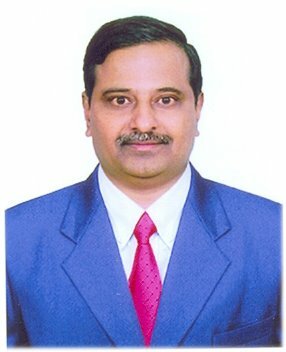 Over the next couple of years that he was in Mysore, I had the unique privilege of working with him. I found him ruthless with the corrupt and inefficient workers and also seemed to be a man in a hurry. His agenda always seemed to be rural and tribal development. It would not be an understatement to say that he is one of the finest officers of the Indian Administrative Service (IAS) cadre that I have come across. Previous Article (11) The Thumnerale rendezvous! Next Article (13) The mating cobras!